There was a gid on the klaf, which came away. 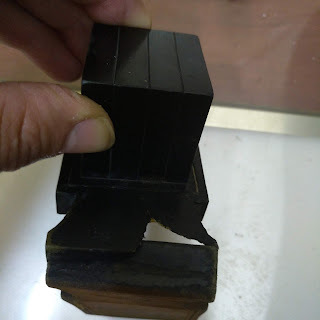 I think that little shpitz (protrusion) coming out of the gug (roof) is enough to save it, and it can still fall into the catagory of a " nifsak shenikkar lehedya" (which may be fixed if a child recognises the letter). I was wondering what others think.. 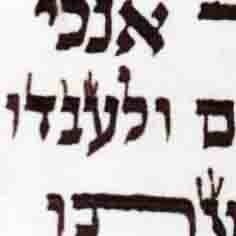 I agree based on Shu't tz"tz Orach Chaim Siman 16.
according to what is seen here - big big shayla!! I have to agree. In order to judge whether this is nikar lehedia or worse it really needs to be seen live. There's no doubt that it's a shtark shaila. Both breaks (1) the one on the base as well as (2) the one descending from the roof may be corrected as long as a tinok is able to recognize the letter as it now is. 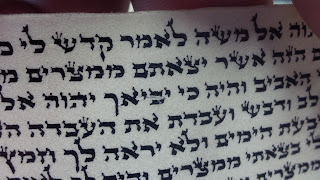 Was it just a loose peace of gid rolled in the parsha? 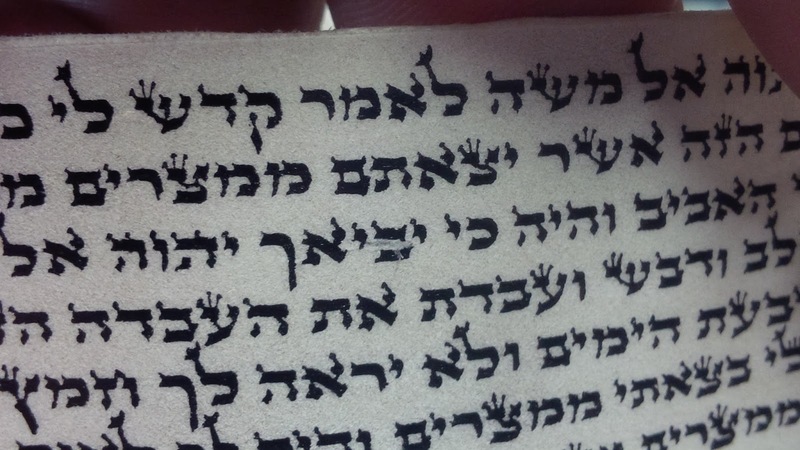 I should add at this point that the moshav (base) does not have a nifsak, what you are seeing is hair or leftover from the gid covering the letter..
Can you post another image without the hair covering the moshav? 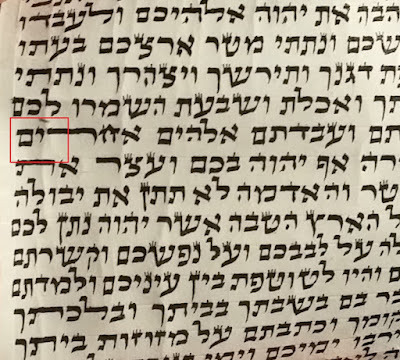 Separately, because of the thickness and position of the Tag on top of many of the the Lameds, they no longer have a Tzuras Vav. Instead, they look like a Makal, with a flag protruding to the left 3/4 of the way up.